PRODUCT: EternaBond AlumiBond AS-4-50, 4 inch wide x 50 foot roll. 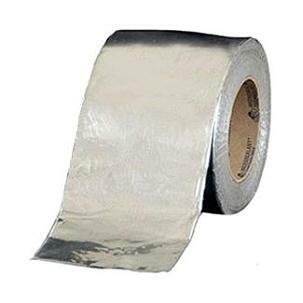 Heavy aluminum faced peel/stick flashing, roof repair and waterproofing tape. 15 year Eternabond Warranty. Made in USA. Price/Roll.